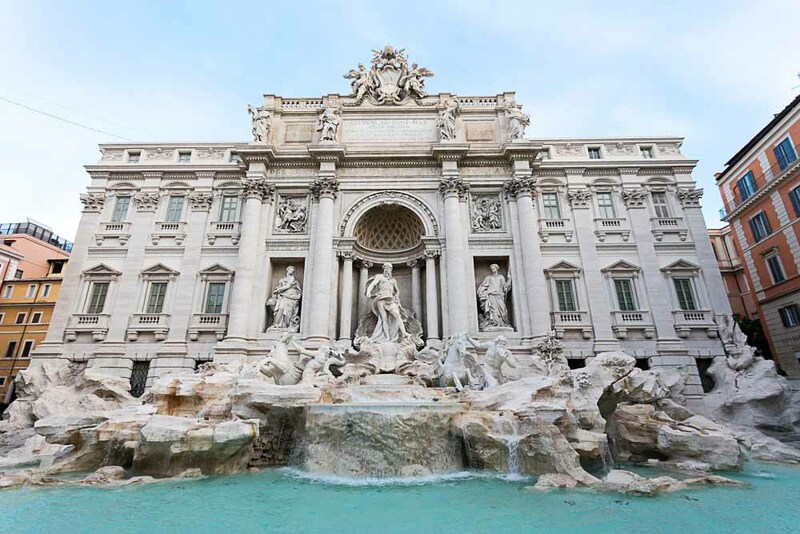 But early in the morning to avoid excessive crowds. 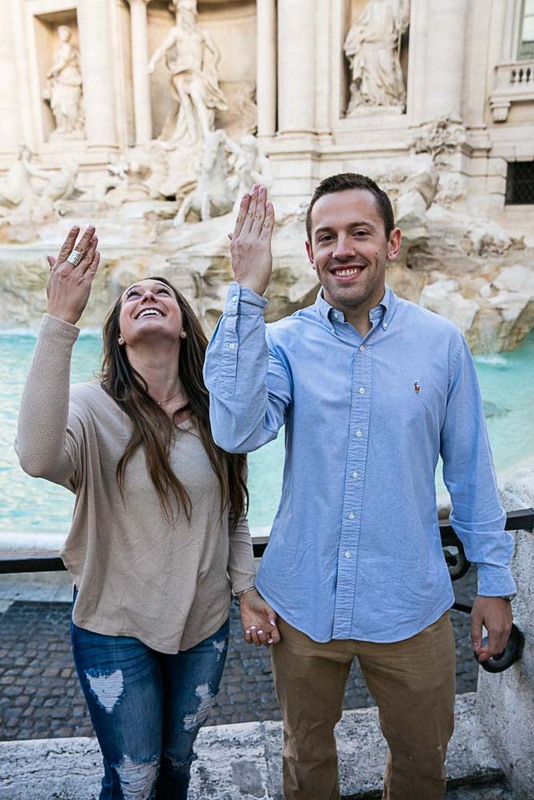 Leaving the whole palace to ourselves. 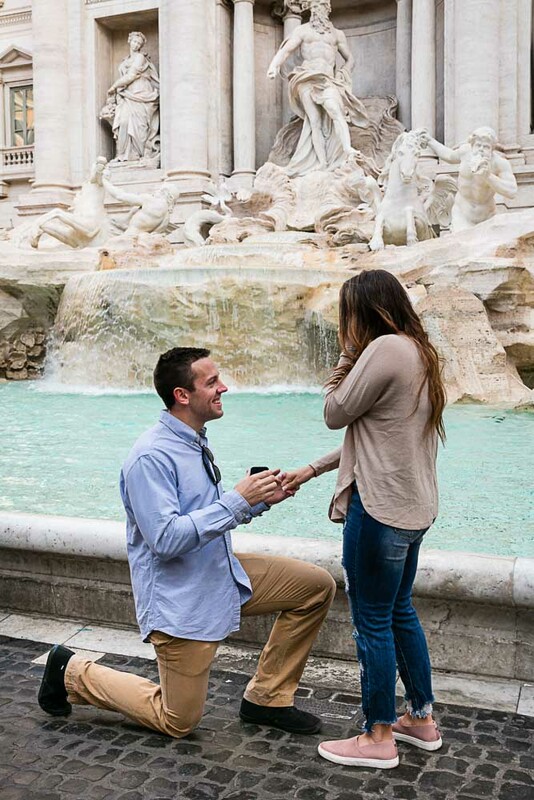 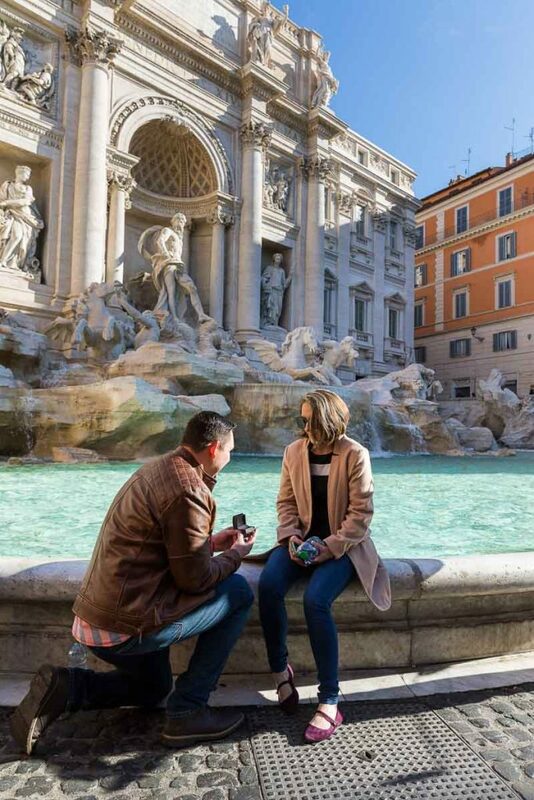 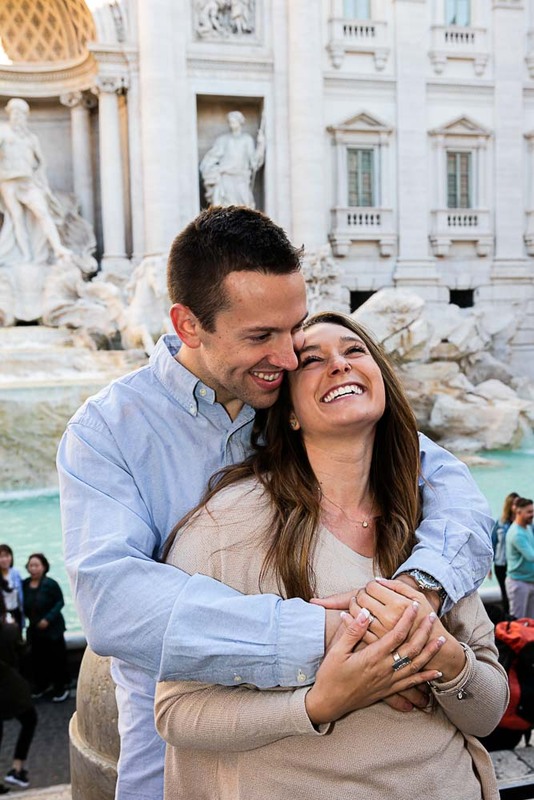 For some romantic and candid wedding proposal pictures at the Trevi fountain. 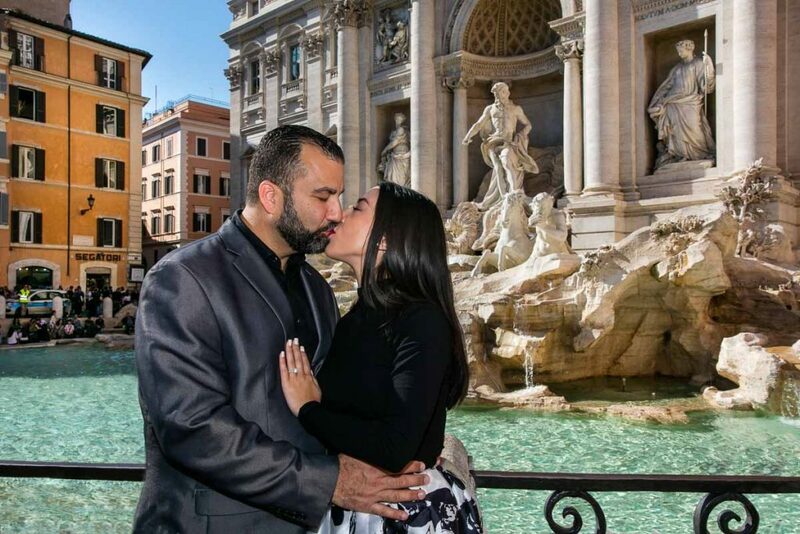 Then after catching breath we went one to take some nice engagement photos in around the fountain. 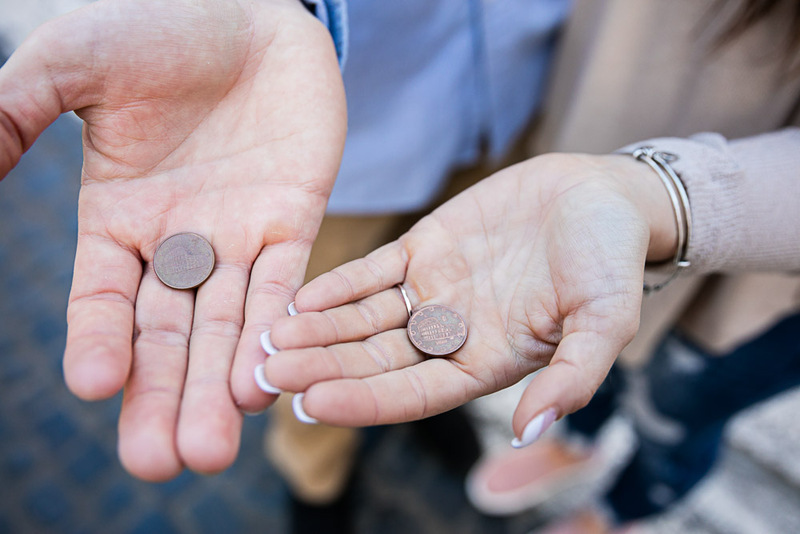 Including the coin toss! 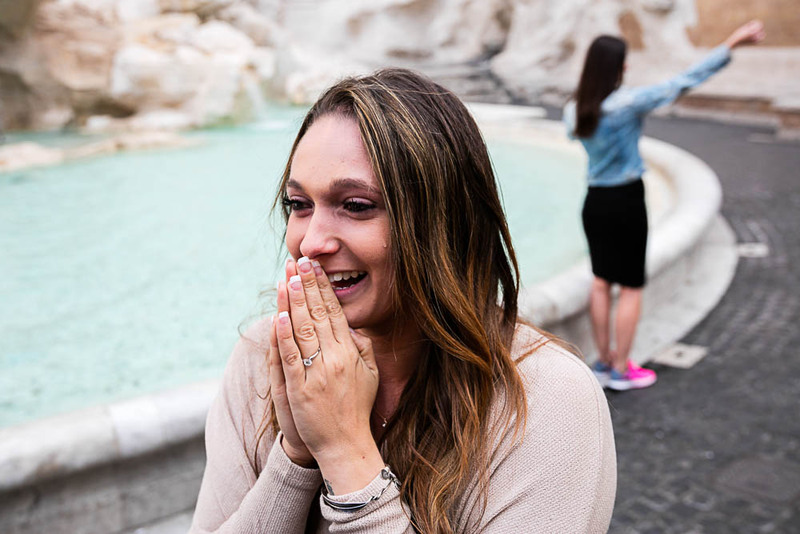 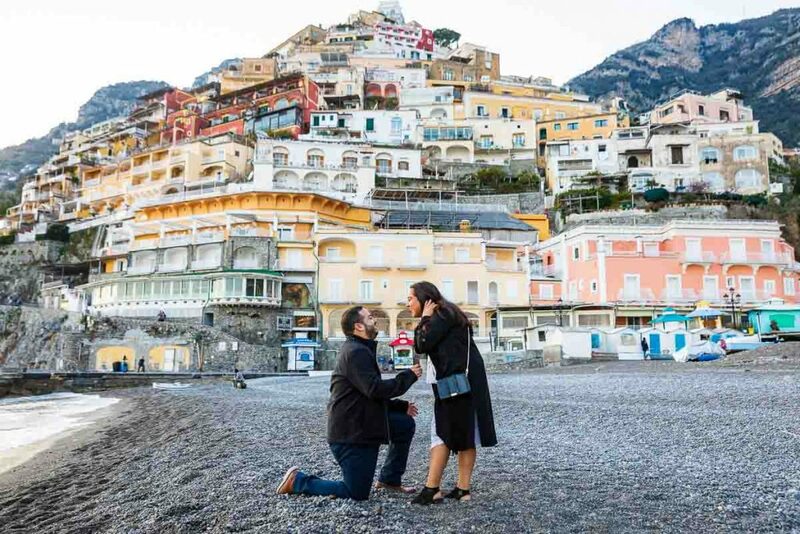 Surprising your girlfriend with by proposing in Rome with Photography Service taking unforgettable photos in one most beautiful Rome spots.